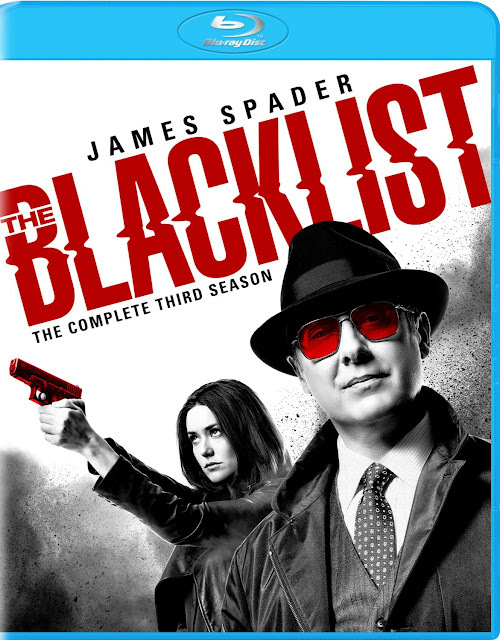 In the third season of the hit drama “The Blacklist,” FBI agent Elizabeth “Liz” Keen (Megan Boone) is not a fugitive and on the run with criminal mastermind Raymond “Red” Reddington (James Spader). With Assistant FBI Director Harold Cooper under investigation, a conflicted Agent Donald Ressler leads the FBI Task Force on a massive manhunt for Liz and Red. 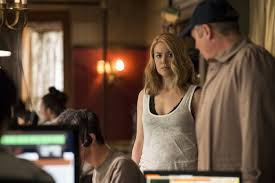 As they struggle to stay one step ahead of their former colleagues, Liz immerses herself into Red’s underworld of disreputable contacts and covert operations. Liz is on an unpredictable journey of self-discovery and all the pieces of her life, including her indefinable relationship with Tom, will be drastically challenged as she continues to believe Red holds all the answers. Season three begins amid the events of the end of season two with Liz being blamed for the deaths of the U.S Attorney General, and many other CIA Agents. Liz goes on the run with Red, who uses his contacts – other Blacklisters – to assist them in their escapes. 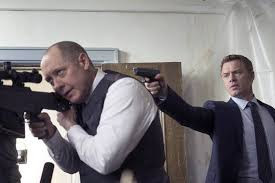 Along the way, Red provides information on Blacklisters to Ressler and the other members of the Task Force so they can continue to make progress as a Task Force. Red even gives them the Blacklisters he and Liz use, but not until after their usefulness has worn thin. When Liz and Red run into Mr. Soloman, a Blacklister whose boss is unknown, they find that they are in more danger than they thought. 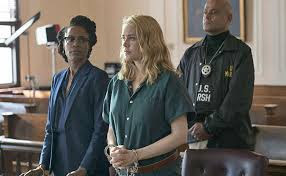 In addition to avoiding Resser and the Task Force, Lis and Red now have to watch out for Mr. Solomon whose motives, like his boss, are unknown. Liz and Red learn to rely on each other to survive. When Tom, Liz’s ex-husband, come back into the picture, Liz believes he’s changed and their relationship also changes. 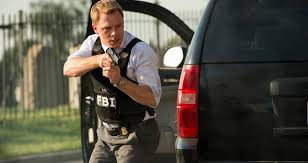 As they grow closer, Ressler and the Task Force gets closer to apprehending Liz and Red, and when they finally do, it’s up to Red and Tom to exonerate her. When the truth comes out, Liz is found to be innocent of most of the crimes, but has to make a deal with the U.S. Attorney’s office on the death of the Attorney General. Because of this, Liz loses her job and an FBI agent, but is hired back on as a consultant, like Red. As part of the deal, she can no longer carry a weapon, but that leaves her vulnerable to Blacklister Mr. Solomon who is hot on her tail. Liz finally agrees to remarry Tom, and at their wedding, are attacked by Mr. Solomon and his crew. Liz and Tom barely escape, but tragedy strikes, and it changes the whole dynamic of the Task Force and its relationship with Red. “The Blacklist” is a great show. The stories are always fun and interesting and I’m kept on the edge of my seat. James Spader is absolutely fabulous as Red Reddington. He is super creepy, wise, distinguished, and always entertaining. I can’t see anyone else in the role. Megan Boone has grown on me over the last few seasons. At first, I didn’t really like her, but she’s gotten less annoying, but I still think she’s a terrible FBI agent. The rest of the cast is also amazing and they all do a really good job. 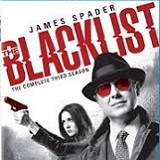 “The Blacklist” season three includes 23 episodes on five discs, listed below. The 1080p high definition presentation of “The Blacklist” was great. The picture was sharp, clear, and fast-moving. Colors were bright or dulled where required, and the movement within the episode was sharp. The picture was much better than on television, and I enjoyed watching the Blu-ray. I really liked the 5.1 DTS-HD master audio of “The Blacklist.” The dialogue was clear and concise. Volume levels were even and every line was delivered smartly. Gunfire (and there’s a lot of it) was not overwhelming and sounded realistic. Other background sounds – sirens, music, etc.) were also appropriate to the scene, and did not dilute the dialogue at all. A few of the extras were interesting, but it's really annoying to have to put each of the discs back in. Deleted scenes -- Most of the episodes had deleted scenes attached to them, but what was really annoying is that they were attached to each individual episode and that's it. They weren't grouped together in the bonus features section. It was super annoying to have to go back and put each disc back in to watch these deleted scenes that weren't even that great to begin with. Audio commentary -- Again, super annoying that the audio commentary for the episodes were attached to each episode and not in the bonus features section. In general, I am not a fan of audio commentaries... I just don't care. I want to watch the episode and not listen to people talking over it. Creating the Stunts: Script to Screen -- Eleven minutes on the stunts of the show. This was actually kind of cool and I enjoyed watching it. All about Aram -- Ten minutes about Aram. Writers, producers, crew and actors talk about the character and his scenes. Aram is an interesting character and I enjoy all his scenes. From the Shadows: Villains of Season Three -- Fourteen minutes of talk about the villains throughout season three. There's a lot of talk about the cabal members and the Blacklisted that Red and Liz used while on the run. There is a lot of talk about Marvin Gerard, Red's imprisoned lawyer and Mr. Solomon, who is my favorite Blacklister. Includes interviews with cast and producers of the show. 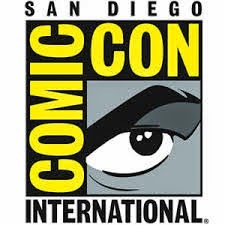 Outside the Box: Making The Blacklist Comic Book -- Eight minutes of talk about the comic book and how it evolved into a comic book. This was really boring and lame... the show definitely doesn't need to be a comic book. Reds Gems: Favorite Lines from Season Three -- Seven minutes of Reds best quips. Really good to remember some of his best lines. “The Blacklist” is definitely one of the shows I keep on the DVR. I admit, I fell behind in the last two seasons due to DVR conflicts, and binge-watched the series in a couple of weeks. I did not get bored, I didn’t find any repetition and it’s definitely a binge-worthy show. “The Blacklist” just keeps getting better and more exciting. I highly recommend it to anyone who is looking for a good crime show to watch.